funds in retirement, more action may be appropriate. As rates increase, fixedincome investments will become more attractive, so a shift from growth to fixed income could be a possibility. The New Year is a good time to provide updates to your financial team, so if you haven’t reviewed your situation with your financial advisor recently, go ahead and initiate that conversation. If you don’t have a financial advisor, perhaps 2019 would be a good time to form that relationship. James W. Vermillion III is a wealth advisor for Hilliard Lyons in Lexington, KY. Call (859) 255-9681 or visit jvermillion.hilliard. com for more info. Securities and Investment advisory services are offered by J.J.B. Hilliard, W.L. Lyons, LLC (Hilliard Lyons), a Registered Broker Dealer and Investment Advisor, Member NYSE/FINRA/SIPC. Trust Services are offered through our affiliate, Hilliard Lyons Trust Company, LLC. Visit Hilliard.com for states James W. Vermillion III is registered in. For additional disclosures, please visit disclosures.hilliard.com. Within every problem lies an opportunity and that’s where the idea to create premium agave spirits grew from. 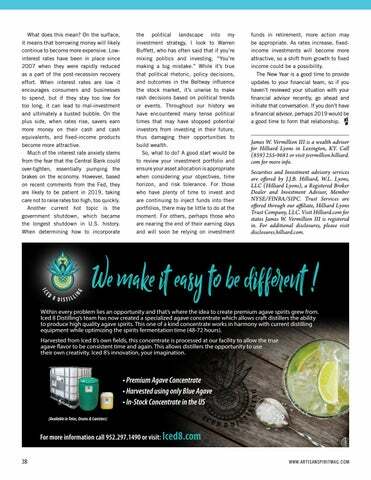 Iced 8 Distilling’s team has now created a specialized agave concentrate which allows craft distillers the ability to produce high quality agave spirits. This one of a kind concentrate works in harmony with current distilling equipment while optimizing the spirits fermentation time (48-72 hours). Harvested from Iced 8’s own fields, this concentrate is processed at our facility to allow the true agave flavor to be consistent time and again. 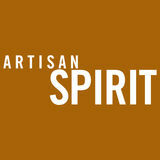 This allows distillers the opportunity to use their own creativity. Iced 8’s innovation, your imagination.